Only a month to go until my first race of the season and as usual at this time every year I have major doubts in my mind about it. At the end of every winter I always worry I am not in shape to run a long race but in the end I do manage to finish them albeit in a fair amount of pain. I admit I am not the most confident person when it comes to my running but I think I am pretty stubborn and will put up with a lot to get to the end. I have always and will always say I love my running when both training and racing but admittedly the first race of the year is always a bit of a battle to get through and yes there will certainly be times during the Highland Fling when I will be wondering if I will ever see it to the end and who knows I may not but given my track record of no DNF's I should be confident right? Hmmm I am not so sure. 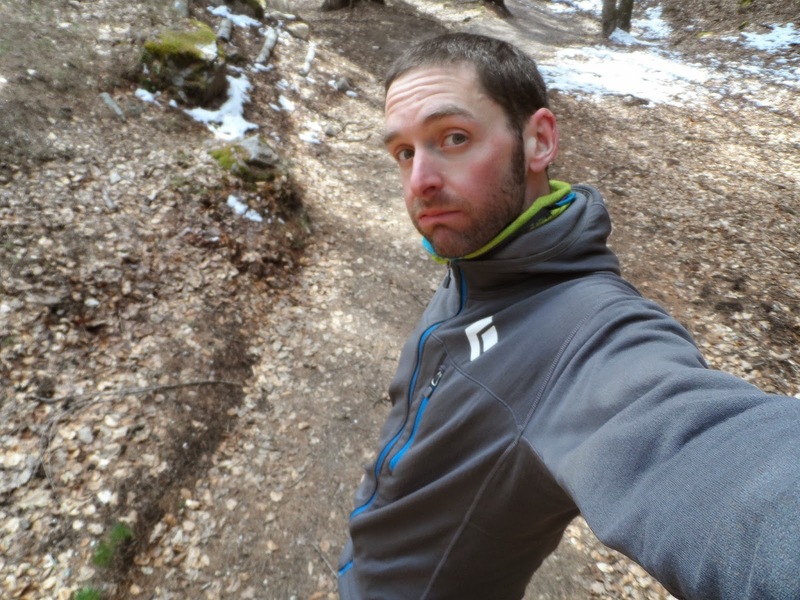 I have done a lot more running over the whole season this year than any other winter and have not really partied at all this year so I am fairly fit and healthy however I have never started my year with an 80km race and it is going to be super tough. 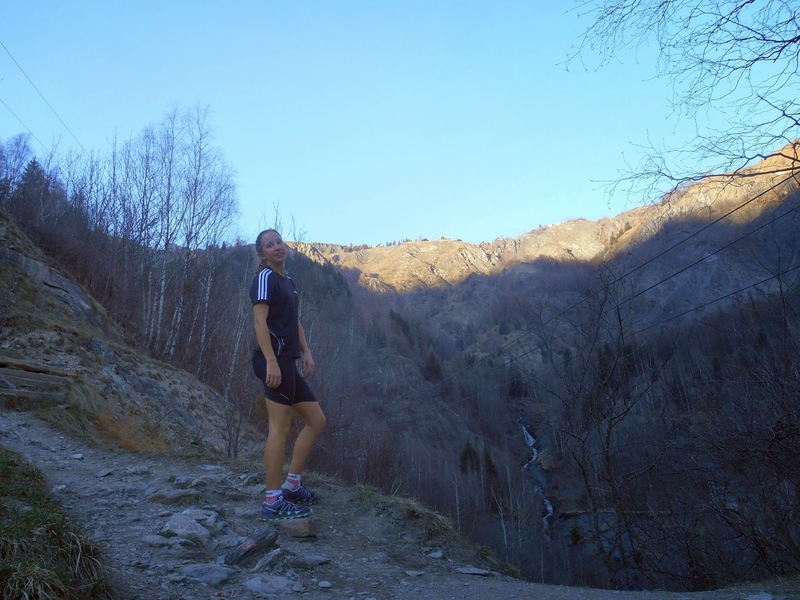 Last week I headed down to Deux Alpes to do a bit of running and skiing with Lauren. 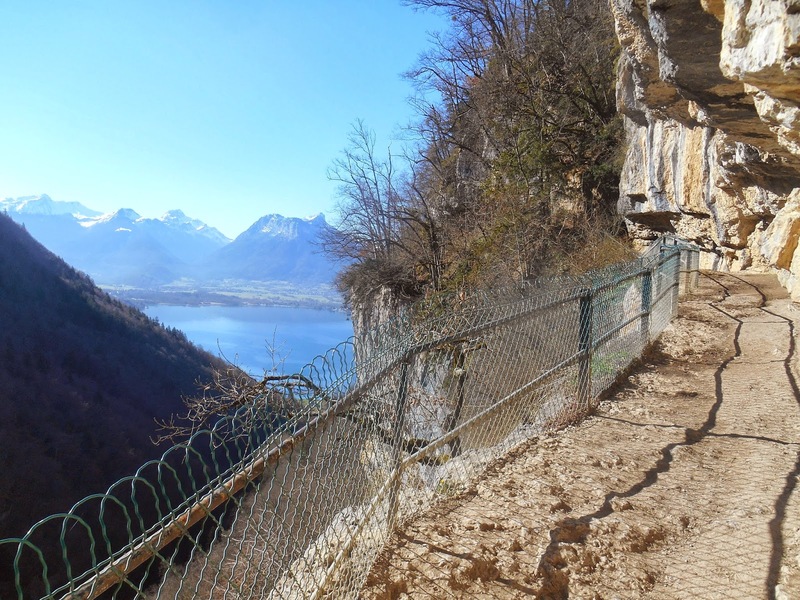 En route I stopped over at Lake Annecy for a really great run there. I had no idea where to go at all but somehow found a parking space up on the hill to the east side of the lake and just followed some trails. I had to re trace my steps a couple of times as some of the trails just ended but overall I went for 15km with 700m of ascent and descent. It was great to be out running again in warm weather in shorts and t shirt and just discovering somewhere new. I then got to Deux and after a little catch up with Lauren went out for another run with her. We made a fairly rapid 19 minute 680m descent of the steep technical trail from Deux down to Venosc then did a little loop around at the bottom and then back up to the house. 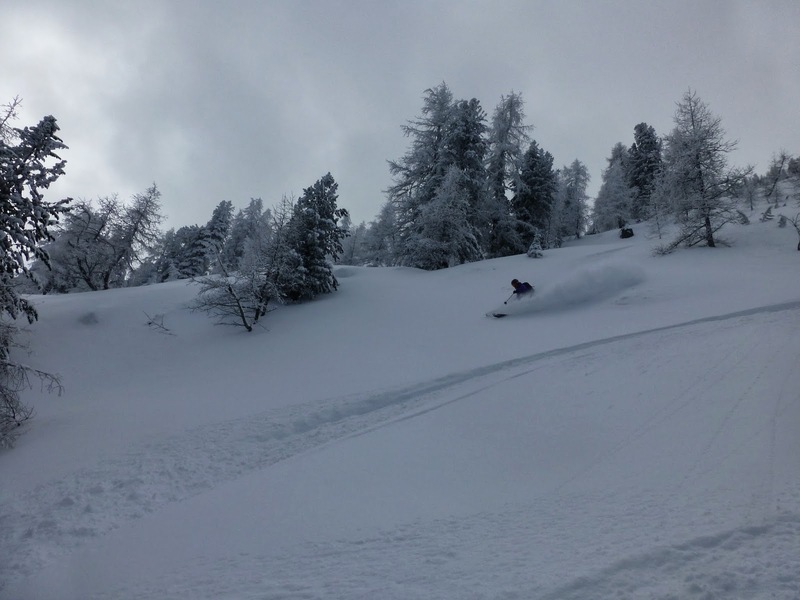 The next two days were ski time but I then managed to squeeze in another run down to Venosc with Woody just before leaving. This time it was a bit faster at 18mins we then cheated and got the lift back to the top and went for another fast lap down and with the plan on doing 3 fast descents but it did not go to plan and I finally found a weakness in my S-labs shoes(not enough cushioning) and my running technique(not great at forefoot striking). Even from the start of our second descent the soles of my heel were in agony and I could barely put any weight on anything but my forefoot and given my not so great running technique and very sore calf muscles running on my toes downhill so fast was not going to work so we/I had to call it quits just 400m down our second lap and hike back up. A bit disappointing finish to an awesome 3 days. My calf’s were in total agony as well as the soles of my feet for the following 3 days. Running has been continuing in the evenings most nights after work ranging from 7-15kms just depending on how I feel. Last night I managed a bit of speed work and cracked out a 21 min 5km which I was quite happy with given the fact I do not normally run fast and that I only decided to push my pace up from 2.5km so maybe soon I will go out aiming for a sub 18 min and see what happens. 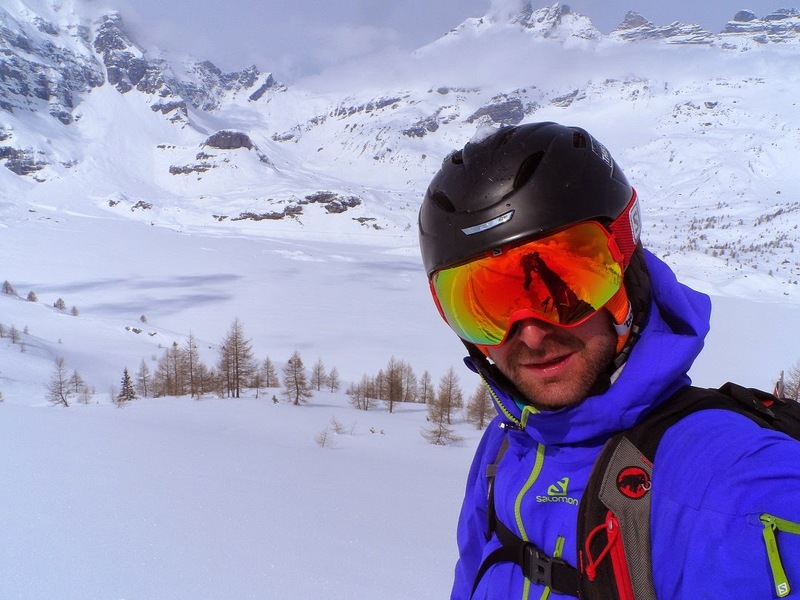 Today was another ski tour with Josh which included yet another 4km hike out to get to the car so another good leg workout. 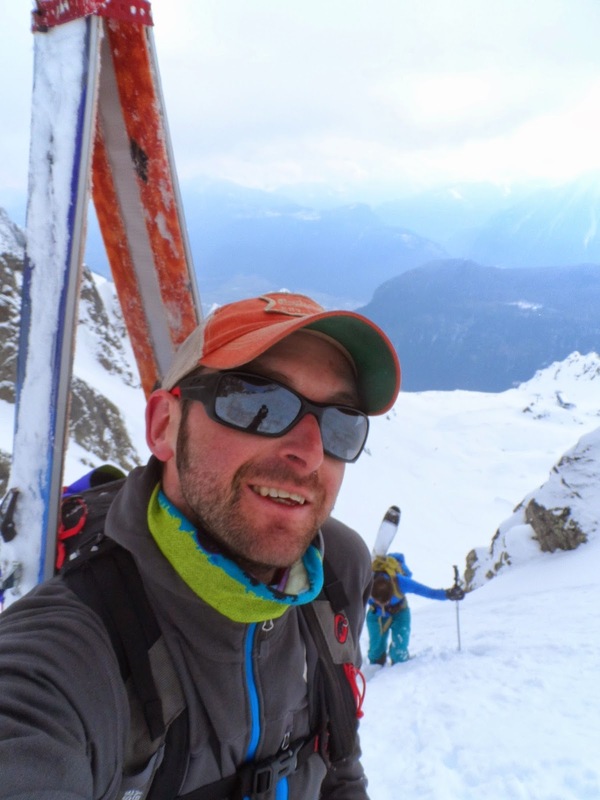 I then got back to Chamonix and went out for a pretty sweet 17km run up to Argentiere and back and I am hoping to get that in again tomorrow on lunch then with any luck get a 40km in next week which will make me feel a whole lot better about the Highland Fling. Heading to get the car on an amazing trail in ski boots! 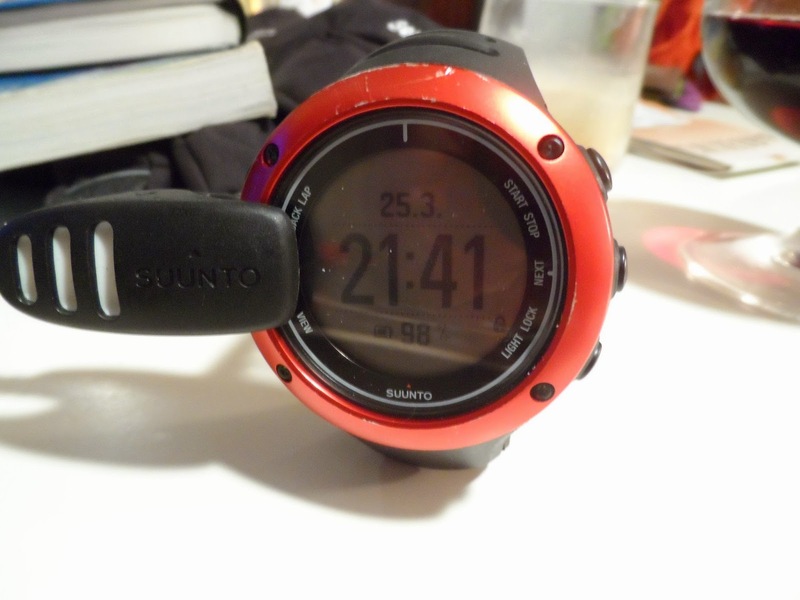 Finally my new Suunto Ambit 2s has been getting used on every run and ski tour and it has been really good. Amazing amount of options you can use online and personalise the settings as you wish and it is super easy to use and navigate around the menus. The only slight niggle is the battery life on GPS mode is not that great at around 8hrs. For training this is fine as training runs are never that length however if I used the GPS function on Ultras I would want a much longer life but I never use that function on Ultras so it works for me. My old Garmin Forerunner used to take a while to locate a satellite but the Ambit picks up a signal in around 5 seconds! Brilliant stuff. Apologies for the font/colour problem. Will be sorted soon.